Laurel lives and breathes and shivers and writes and publishes in the highest incorporated town in the U.S.! She's the author of several books, all available on Amazon. City girl moves to mountain town! This last essay was my favorite of the four because it’s about why I wanted to move to Leadville. LCSD Superintendent Essay D: Discuss your beliefs about small communities, their values, the challenges of small school districts and why you choose to be a part of this environment. Who, in their right mind, would voluntarily choose to live in a tiny mountain town with long winters, limited shopping, and challenging altitude issues? Someone who understands both the charms and challenges of such a place, and who would want to protect the former while tackling the latter would make this decision . . . a decision I made with my family over five years ago. My beliefs about small communities have evolved since my childhood days of exposure to the small town feel of living in a suburb near the historic city of Boston. Raised in a family of five girls, I learned the importance of frugality at a young age. Although my parents earned enough money to keep us well clothed, fed, and in a lovely home that became the favorite place for neighborhood socials, we all knew that as soon as we hit the legal age to babysit, we would be expected to earn our own money for “frills.” We knew the names of “Bargain Center” employees, and I liked that. I liked it because it enhanced what I was beginning to understand about small communities, and provided a sense of comfort by showing me that—even beyond the borders of my “Leave it to Beaver” street community—there would be people who seemed to care about me. I came to believe that people in small communities, like the one in which I lived, watched out for one another, and would go out of their way to ensure that even the least social of neighbors would feel that they belonged and that they would have someone to turn to if ever in need. I believed that I could make a difference in my little world and that others would value my contributions. The inter-personal connections that I was able to develop as a babysitter, driveway shoveler, nursing home visitor, and waitress (my first “W-2” job!) were vital to my later successes in education and employment, and instilled in me a deeper understanding of small town values. People who live in small communities should not be considered homogeneous in their values, but there seem to be consistencies which prevail in most. In the small communities where I have lived with my husband and children (and we have lived in many over the course of a military career), pride is highly valued—both individual pride and pride in community. Members of small communities are typically very loyal to family and friends, and they are proud of their ability to weather hardships together. They are empowered to speak their mind, and those who chose to involve themselves in the higher workings of their community do so because they want to make things better for everyone. Not everyone values public life, however, and many prefer to have their privacy respected; even so, personal privacy is a value most would consider important, and in a small community, honoring personal privacy can become a challenge. In a place where “everyone knows everyone and everything about everyone,” the need to respect personal privacy is important. It is especially important within the school district of a small community where the needs of minors must be considered, and their rights protected. That, however, is only one challenge to consider with regard to school districts in small communities. In today’s economic environment, resources are scarce nation-wide, but particularly in areas with small populations and below average household income. Fewer funds challenge a small district’s ability to recruit and retain quality employees, to maintain aging facilities, and to provide valuable opportunities for students beyond “the basics,” of their curricular requirements. These challenges also, though, provide an opportunity for school leaders with creativity and vision to ensure that those in their care do not become victims of their environment, but rather strengthened, more resourceful individuals who will someday be proud of what they are able to accomplish. 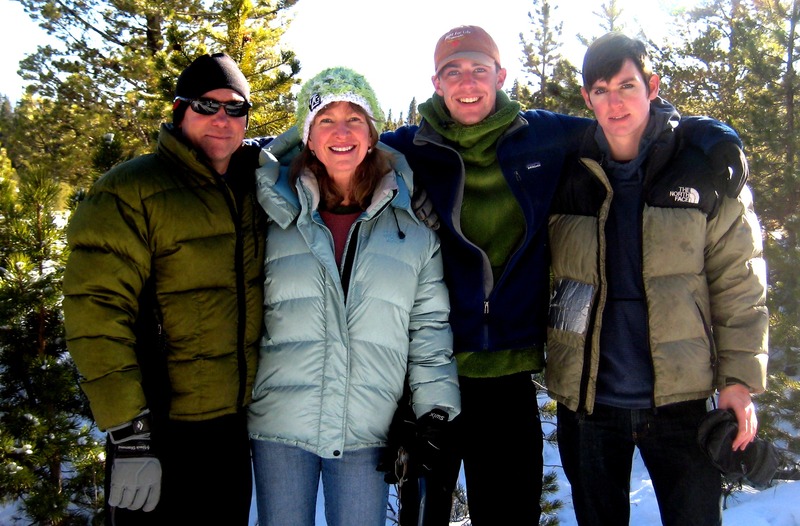 With full knowledge of the challenges above, and with experience living in small communities throughout the United States, we moved to Leadville almost five years ago after four years of frequent visits from Colorado Springs. Why did we choose to be a part of this physical and social environment? We chose Leadville for several reasons. The charms of the area are undeniable. This is a town where “big city” people come to escape the heat, the monotony, and the pressure of their lives, to bask in the beauty of our mountains, to experience legendary history, to say that they’ve challenged themselves in some way, and to feel—if only for a weekend—a connection to a simpler time. It’s a place where our children (each graduates of Lake County High School) could live in a non-military environment and experience social, physical, and academic challenges. They have climbed these mountains, worked and volunteered in this town, and made lasting connections with members of the community. Leadville is a place where I have experienced the challenges of teaching in an under-funded school district and have had the pleasure of developing meaningful relationships with my students, their families, my peers, and members of our small town. It is a place where my husband—a one-time burro racer and four-time Leadman—has a job which lets him sleep well at night (unless he’s leading a Search and Rescue mission), knowing that what he does will benefit the entire community. It is a place in which we intend to “retire,” whatever that means, and continue to work toward protecting the unique nature of our community while helping to ensure that it remains a viable place to visit and live. This third of four essays has a “relationship” focus. I enjoyed writing it. LCSD Superintendent Essay C: What actions would you take to form effective relationships with staff, community and other governmental agencies to provide for clear communications, build trust and create a unity of vision? For years I have taught my students how to employ figurative language elements as a way to ensure that readers get a clear “picture” of what they are trying to express. After all, unclear communication is like an outdated road map; it can leave you lost and confused. The ability to communicate effectively is critical for building effective relationships, and effective relationships inherently require trust between parties. As an English teacher at Lake County High School and as an active member of the Leadville community, I have had amazing opportunities to form relationships with people in many circles. Those who have come to know me also know that I am forward, direct, and honest when I speak, that I welcome intelligent debate, and that I understand and believe in the concept of transparency. These skills have already provided me opportunities to collaborate with members of LCSD staff, community, and several other governmental agencies. In August of 2007 I participated in my first “Welcome back to a new school year!” meeting of district staff and faculty. I was “the new girl,” and was immediately encouraged to lead a group activity. That was the start of my involvement with the school and district instructional leadership teams; for two and a half years I collaborated with my peers and those above me on topics ranging from curriculum design to school spirit. In an effort to ensure that information gleaned from those meeting received the widest distribution, I would send weekly emails to all staff members with topic recaps, suggestions, and reminders. My peers knew that they could share concerns and questions with me, and that I would represent them as best as I could. In order to be truly effective as a leader, those you lead must believe that you value them as individuals. As a district leader, I would schedule routine opportunities to listen actively to suggestions and concerns from my staff and faculty, I would arrange to have meetings with groups of students from all schools to ensure that I stay connected to the needs and concerns of those for whom I work, I would ensure that no significant decisions would be made before soliciting input from those my decisions would impact, I would be available to spend time beyond work hours with individuals or groups with concerns, and I would frequently attend—and help to promote—our after school events. My goal would be to ensure that all those I serve feel empowered to help realize a vision for the greater good of the organization. Shortly after that first “Welcome back” meeting, I realized that although I already knew many members of the community from almost four years of “living” at the Leadville Hostel during escapes from Colorado Springs and supporting/participating in local racing events, I was not necessarily connected to the families of those I would be teaching. In October of 2007 a peer suggested that I would be a great mentor for Full Circle, so without further prompting, I completed the requirements for mentorship and welcomed a young brother and sister into our family. My relationship with these children and their family grew over four years, during which time I got to know other members of the Full Circle community. Although this family has recently moved, I am able to stay “connected” to them with the help of modern technology. As a district leader, I would highly encourage those who are able to participate in this and other community outreach programs. Leadville hosts many organizations which support the mission to improve opportunities and conditions in our district. In a school district with limited funds, school leaders must be creative in finding ways to expose our students to opportunities for contact with the world outside their classrooms. Local businesses such as the Tabor Opera House, the Gallery Leonardo, Fire on the Mountain, the Book Mine, Alpine Ski and Sport, and Cookies with Altitude have opened their doors to my students for field trips and writing opportunities, and the Herald Democrat has welcomed articles and pictures of these experiences. As a member of the Leadville Lions Club, I have participated in Speech Contests for our students, Safeway card sales over the holidays (which contribute to student scholarships), Boom Days parades and beer tent sales (during which I have met countless members of our community and from visiting communities) and other local functions. These events have enriched my students’ and my own relationship with members of our larger community. Leaders must be available to serve and support others in their community in order to build trust and unity of vision. Our community members need to get to know our students if we hope to have them share our vision of success, and I would work to ensure that opportunities for visits, internships, and community service are plentiful. It goes without saying that as a school district leader, I must have open and effective channels of communication with many governmental agencies. Being married to the Lake County Emergency Manager has provided me with many opportunities to meet members of our police, sheriff, and fire departments, and to speak with our Mayor, County Commissioners, and City Council members. As a mother of two sons who graduated from LCHS with credits from Colorado Mountain College, I have developed a rapport with leaders of that organization, and understand the value of all they have to offer our students and community. Although there are clearly many leaders in the service of private, county, state, federal, and faith based organizations I have not yet met, I would make every effort to attend meetings and events—and to host events—to ensure that members of those communities, many with children attending our school district, would get to know me, and would know that their input would be valued as a significant contribution to helping our school district, and all its members, succeed. Fix our school district with nothing, please! Here’s the second of four essays submitted for the superintendent application. You might want to use it as a sleeping aide?! LCSD Superintendent Essay B: In a district with growing diversity and students of special needs, how do you allocate limited resources to provide a wide variety of curricular choices, fund extracurricular activities, maintain good but aging facilities, fund competitive salaries, and keep current with technology? Lake County School District serves students with diverse ethnic backgrounds, abilities, and interests, and it is this diversity which brings both richness and complexity to the school community. From the perspective of being able to provide differentiated instruction for our current generation, every child should be considered to have “special needs.” One of the greatest challenges for the leader of this school district is the allocation of increasingly limited resources in a way which best serves the needs of all of its learners, its teachers, its staff, and its facilities. We must remember that the mission of a school district is to ensure that our students are both successful while in our care and prepared to realize success in schooling and employment beyond high school. This is particularly crucial in light of articles like the one shared on my Facebook page today (January 26, 2012): “Today, according to the Organization for Economic Cooperation and Development, we’ve slipped to No. 21 in high school completion and No. 15 in college completion, as other countries surpassed us in the quality of their primary and secondary education. . . . Only 7 of 10 ninth graders today will get high school diplomas.” The article goes on to suggest innovative ways some districts are restructuring their pre-K through 12 classes. Our K-12 curriculum should not only satisfy state requirements, but should also provide elective options that will transfer into skills needed to be competitive in the future. Clearly we must prioritize the courses we will fund based on the availability of instructors and schedule hours, and must create a schedule which maximizes the ability of students to populate elective classes. Knowing what we know about the current economic environment, we must not allow our students to waste valuable hours by selecting to be a “student aide” rather than by earning legitimate course hours; this has been an issue in the recent past, and elective classes have gone significantly under-populated, wasting valuable resources. We must also accept that not every student will continue on in a degree program after high school, and embrace ways to prepare those students to secure jobs in other vocational areas. Once these students demonstrate mastery of the basic requirements at each level of their education—in courses that are at the top of the funding priority list—they should be provided with opportunities to intern with established local governmental and private agencies. The school superintendent should play a key role in establishing contacts to secure those potential job related programs. When considering funding for extracurricular activities—as it is highly unlikely that funds will be available for many programs desired—we should consider instilling in our students the idea of a lifetime activity, and helping them to become more resourceful in their efforts to secure extracurricular options. A fabulous example of how this was accomplished recently is the high school’s new competitive mountain biking club. Because of the generous sponsorship of Pedal Power bike shop, and contributions of time and money from members of the faculty and community, our school’s team was able to compete in high visibility events across the state, and with no cost to the school district. We have people in our community who are passionate about many diverse activities and who would love the opportunity to coach/sponsor/mentor our students; we need to find those people and encourage them to help our students with enriching extracurricular events. With available funds, we should ensure that historically popular activities such as drama, skiing, track, cross country, soccer, basketball, and volleyball remain viable. We must also do whatever it takes to keep the 21st Century grant program alive. Involvement in extracurricular activities will pay dividends far into the future for our students, and finding creative ways to support them should be a priority. Our students and employees deserve to feel safe in our aging facilities. We must develop both a short and long term schedule for allocating available assets by prioritizing “Must do,” “Should do,” and “Would like to do” projects. Just as we will ask our students to be creative with finding ways to fund their activities, we need to employ innovative ways to match potential funds available through grants. How might we use in-kind matches for funding? Could we quantify efforts from our shop class? Could we rent out space for activities? Do we have professionals in the community who might provide services or property as a match for funds? We should apply for all available grants, and encourage our community to take part in ensuring that our students have better than adequate places in which to learn. Our teachers and staff—sadly—are accustomed to earning less than competitive salaries these last few years. Lake County has lost more than 500 people between the 2000 and the 2010 census, and with a smaller population comes less funding from tax revenue. We need to scrutinize our budget and look at areas of possible reallocation. We need to evaluate the amount we have, and should keep, in reserve. We must find a way to unfreeze the salaries that have been locked for the past three years. We know that most people who work in public education do not do so because they think they’ll make big money, so as a minimum, we need to find other forms of compensation for our employees—time, rewards, special recognition—to let them know that their service is valued . . . and that they are valued as people. Beyond ensuring that our 20th century buildings are safe and—as a minimum—adequate, it is vital that we bring both students and staff into the 21st century in the area of technology. Again we must be creative in finding ways to train our staff on “the latest” tools for integrating internet resources into the classroom curriculum. Undoubtedly we have students both in our own district and at CMC who could teach the staff a thing of two in exchange for community service hours. What a perfect opportunity it would be to have student interns in the district office to ensure the district web site—the first place most incoming families will go for information—is state of the art. Sites such as the Khan Academy and TED talks are free and would provide relevant data to supplement the school curriculum. Social science classes could conduct interschool dialogs around the world using Skype. All students could follow Twitter feeds on different topics and be expected to discuss the most interesting ones. Students and staff could use Google Documents to collaborate on projects. We should also ensure that the technology curriculum is relevant to what our students will be expected to use beyond high school. Let’s ensure that time is not wasted on what our tech-savvy students already know, but let’s challenge this new generation to employ the internet for intellectual advancement and preparation for a future in which computer technology is ubiquitous. While some may argue that communication skills are lacking in this generation, they are, in fact, changing, and we all need to keep up with these changes in order to remain culturally literate. Our staff should feel as confident as our student do with these essential 21st century skills. This is the first of the essays, and I’ll say for the record, we’ve been over-assessing our students. LCSD Superintendent Essay A: In today’s educational environment that emphasizes assessment and measurement, how can the Lake County School District meet the diverse needs of students (especially English Language learners) while increasing student achievement for all students? A school district that fails to assess its students is like an oncologist who fails to conduct routine blood tests; both will lack the vital information necessary to improve the lives of those in their care. Now more than ever our students must understand that their public education is designed to prepare them for a workforce that is increasingly geared toward employing those with education beyond high school. Regardless of the type of further education—whether it be in a degree program or in technical training—assessments are an academic reality. One challenge of an environment that emphasizes assessment and measurement is to ensure that there is an acceptable balance between time spent assessing and time spent teaching and learning because our students—whether or not they are English Language Learners—will not perform well when assessed without sufficient time to learn. Lake County School District can meet the diverse needs of students while increasing achievement for all students by designing an assessment cycle that employs best practices—those known for successful results—and by using data from both formative and summative assessments. The first step in this cycle is to plan out what we want our students to learn. Fortunately, the Colorado Department of Education has taken the guesswork out of what skills our students should be proficient in at each grade level and for each subject taught in our schools. They are, however, guidelines, and as such are not inclusive of all the skills our students should possess before launching into the world of employment. Those other talents—now called “21st Century Skills”—are just now beginning to appear in the ongoing revision of the language of our state standards. It should also be understood that a “plan” is just that—a strategy for accomplishing a larger mission—and should have the flexibility to adapt to changing needs. Teacher training programs ensure that graduates understand the process of curriculum design, and all highly qualified teachers should understand that the process is an integral part of their job description. By ensuring that our teachers have the time, tools, and guidance to create curriculum maps that outline a logical progression to include requirements for their areas of expertise, the “plan” part of this assessment cycle, if not already in existence, should be handled expeditiously. The hope is that in the third phase of the cycle, the evaluation or assessment phase, students will demonstrate that they have learned the material “well enough” to indicate proficiency. If an assessment is designed to be relevant to the instruction provided, teachers should get an accurate answer to the question, “Did my students learn what I expected them to learn?” The learning objectives for each unit taught must be measurable, and with minimal subjectivity. There should be no “surprises” for the students, because teachers should be clear about the objectives and the requirements to demonstrate proficiency on Day 1. Teachers should provide feedback on assessments quickly; otherwise, students may become frustrated and lose any momentum that may have been gained on the topic. The last phase of the assessment cycle asks, “Now what?” This is where teachers get the feedback they need in order to revise and/or reinforce the next step of their plan. This is, perhaps, the most challenging phase of the teaching/learning cycle because the results of an assessment can range from mastery to failure. In a “standards based” instruction model, students typically have time to relearn, and are provided opportunities for reassessment; this also challenges teachers to make decisions that will most benefit their students. How many times should a student be allowed to retest? At what point should instruction move forward? These questions are not easily answered, but with appropriate resources (extra practice materials, tutors, specialists), students who are trailing can expect to catch up if they are willing to make the effort to do so. We must not forget, however, to find opportunities for celebration in this last phase. This is a “must,” and this is where we step back to ensure that our biggest challenge—balance—is realized. Just as professional runners should not train at race-day pace every day for fear of injury or burnout, students should not be assessed so frequently that they, too, experience burnout. The student, like the runner, wants to perform well, but also knows that without the proper amount of time to absorb new learning, he will struggle. By evaluating and selecting the most efficient tools for assessing our students and employing them judiciously, we can expect that our students will do their best when asked. Regardless of the results, though, effort and improvement—however much—should be recognized and applauded. Now that I am finally “on a roll” working on content for my “V-Mail . . . ” book, I have decided that I will use this blog as a posting place for Dad’s letters. My book is not so much the letters themselves as it is the inspiration to look at life–in his generation, mine own generation, my children’s generation–and to challenge readers to look at their own lives in a memoir’ish, social commentary’ish kind of way. The book will be a multi-generational study of different themes expressed in Dad’s letters; each chapter will start with excerpts from the letters which provide the impressions, beliefs, and challenges of a 19 (then 20 and 21) year old young man, and will progress through the following two generations. Ultimately, I hope to provide some insight for future generations. Since I focused considerable effort on transcribing each letter, I would like to make them available to anyone who might want to read each in its entirety. I will begin uploading letters as they correspond with the current dates of the year . 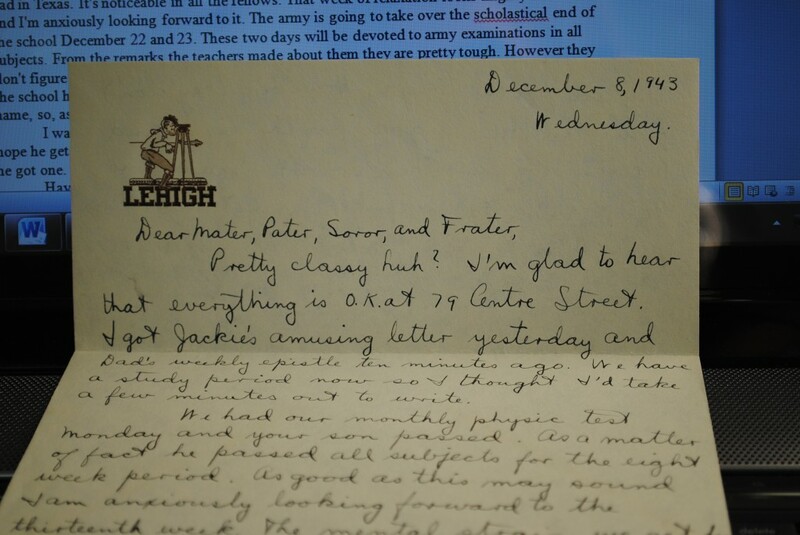 . . the first letter will be posted on March 1st, as that is the date on the first letter Dad sent home in 1943. I will welcome questions, comments, and anything you might be moved to share! My goal is to complete the first two chapters of the book by the time I post the first letter … wish me luck! I left my potatoes in fear for my boys. Tore open the first door and tripped over Klaus. I knew that I had what their muscles required. “Now, Nicholas! Jacob! Now, Charlie* and Mike! Come to the kitchen, I’ve something you’ll like! To the warmth of the kitchen! To the nicely set table! With towels, deodorant, hair products, too. The descent of feet on stairs, sounding like booms. To the kitchen they came with a Christmas Day tune. And they looked like mad scientists abolishing doubt. Their eyes—how they twinkled! Their faces how cheerful! I knew over dinner we’d all get an earful! We listened and questioned and laughed between bites. And away they both crept into bed like good thugs. Although I’m not quite finished uploading the letters yet (I’m close! 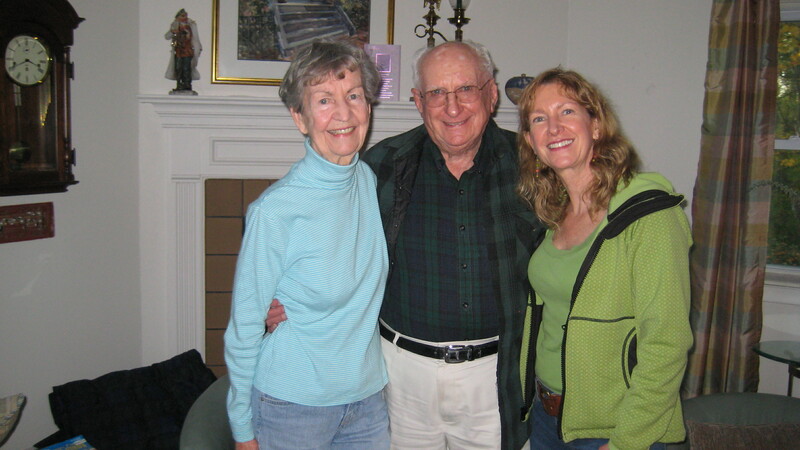 ), I didn’t really need an excuse to travel back to Boston to spend some time with Mom and Dad. I’m sure I’ll hear stories that didn’t make it into the “Censored” letters! School days continue to challenge Dad, and I start to learn little bits about his younger brother Jackie/Jack/Jake (it does not surprise me that he calls his little brother different names as he also signs his letters in a variety of nicknames including Murray, Moe, Chuck, Charlie . . . not yet Charles). 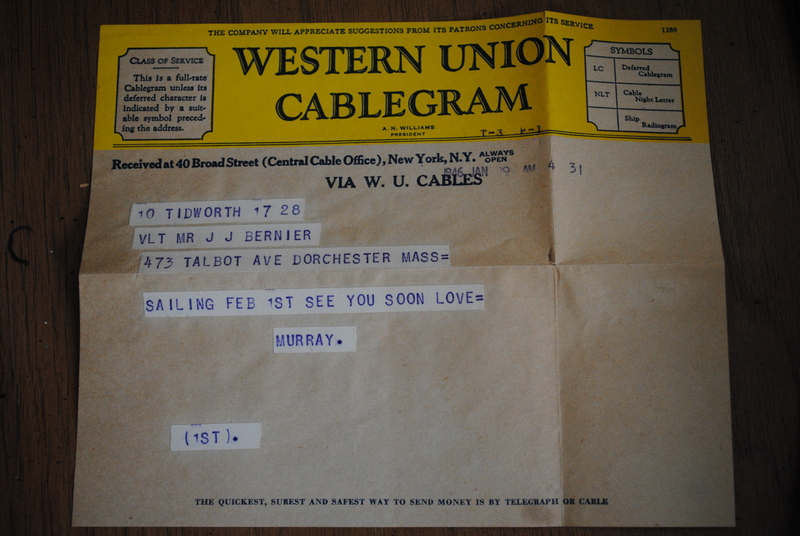 I wish I had some of my uncles letters, as I understand he was very funny! Perhaps my cousins could find some?